We are committed to providing a thorough treatment approach, incorporating Eastern Philosophy with Western Medicine. Our core belief focuses on treating the body as a whole. RaJeunir Medical Center offers practical solutions for healthy living, tailoring each treatment plan to coincide the needs and personality of the patient ~ all while providing compassionate patient care and service. Cathleen Gerenger, D.C., F.I.A.M.A., BSc. Dr. Cathleen L. Gerenger is a Chiropractic Physician and Certified Acupuncturist. She was born in Vietnam to Chinese parents and moved to the United States at the age of four. She is fluent in Vietnamese, Chinese and English. True to her Asian heritage, she believes in healing the body as a whole and educating her patients on health and wellness. Dr. Gerenger started her medical journey at a young age. She attended the University of Florida for her undergraduate degree and continued her journey at Life University School of Chiropractic in Georgia. She received her doctorate at the age of 24. Dr. Gerenger is Chiropractic National Board Certified in Part I, II, III and IV, Physiological Therapeutics and Acupuncture. She also is certified by the Florida Board of Chiropractic and is a Fellow of the International Academy of Medical Acupuncture. By the age of 27, Dr. Gerenger opened her first private practice in Orange City, Florida. After 12 years of private practice she became part of a group practice, SaJune Medical Institute in Orlando, Florida. Having the vision of changing the healthcare of America, Dr. Gerenger decided to put together a team of like-minded providers. In 2014 she opened RaJeunir Medical Center in Tampa, Florida. Dr. Gerenger developed a systematic protocol that addresses all aspects of health and wellness. She teaches injury prevention, how to manage stress and how to maintain peak performance. She combines Hormonal Balancing, Chiropractic, Acupuncture, Nutrition and Genetic Testing to achieve maximum results. Dr. Gerenger's private life has always been active and she has always been dedicated to healthy living. She enjoys cycling, Zumba, Barre Fitness and weight training. Her domestic hobbies includes cooking, juicing and sewing. An avid golfer, Dr. Gerenger believes physical fitness is essential to long-term health. Due to her understanding of the biomechanics of the golf swing and how it affects the body's muscle-skeletal system, she treats weekend golfers and players on the Nationwide, PGA and Champions tours. Dr. Gerenger lives a colorful life. Her charisma is contagious. She is on the book cover of "Weeping Under This Same Moon" written by Jana Laiz. The book was based on her journey as a young refugee. Dr. Gerenger somehow finds time to speak at schools and inspires young adults to be the "designer of your own destination". She was also recruited as Publix Supermarket's Apron Hand Model. Ben Johnson, M.D., D.O., N.M.D. Ben Johnson, MD, DO, NMD, is an integrative physician who is recognized worldwide as a leader in complementary medicine. He is a renowned speaker on natural healing who now lives and works in the Southern Cherokee Nation north of Atlanta. Dr. Ben combines expertise gained as an osteopath, naturopath, and medical doctor with alternative approaches to healing on a concierge basis, in which he cares for patients in the comfort of their homes. He focused on general practice for many years, served as senior flight surgeon for the U.S. Army Reserve, and as a senior (AME) aviation medical examiner for the Federal Aviation Administration. Dr. Ben is also the Minister of Health for the Southern Cherokee Nation RFP. In addition to his medical degrees, he holds a B.S. in biology, M.S. in psychology and has recently received the honorary degree of Doctor of Science and the Lifetime Achievement award from President Obama. To promote the cause of early cancer detection, Dr. Ben founded the International Cancer Foundation. He is the best-selling author of No Ma’am-ograms! Radical Rethink on Mammograms, author of Healing Waters and coauthor of The Healing Code and The Secret of Health: Breast Wisdom. Dr. Ben is focused on Regenerative Medicine and Life Extension. He integrates herbal remedies, nutraceuticals and express the importance of exercise and life style changes in order to maintain optimum health and wellness to increase quality of life. One of the most novel and promising approaches is his use of VSEL’s (very small embryonic like stem cells). VSEL Stem cells can be harvested by simply drawing blood from the arm unlike the usual surgical procedures of liposuction or bone marrow aspiration. Additionally VSEL’s are unique in that they are your own cells so you cannot get a disease or have rejection issues as occur with umbilical stem cells. The VSEL’s can actually be guided to the area that needs healing/renewing with a patented optical laser system. The process can be done in the convenience of your own home. Dr. Ben's hobbies includes exploring in the jungles of Africa where he spent a couple months alone in the Congo with natives that he could not speak their language. Intrigued by Eastern culture and medicine, Dr. Ben spent a month in China. Countries Dr. Ben had visited includes, Ukraine, Germany, Slovakia, Italy, France, Austria, Spain, England, Holland, Ecuador, Argentina, Belize, Honduras, Panama and of course, Mexico, Jamaica, Antigua, Montserrat, Bahamas and Turks and Caicos. He also somehow carves out time to go horseback riding, scuba diving, climbing, camping and skiing. Dr. Courtney Burgess was raised in Omaha, Nebraska. She attended the University of Notre Dame, where she earned her Bachelor of Science. She was also a member of the Division I Cross-country and Indoor and Outdoor track teams. She went on to graduate from Creighton University School of Medicine, in Omaha, Nebraska. She completed her Emergency Medicine Residency at Orlando Regional Medical Center in Orlando, Florida. She is board-certified in Emergency Medicine and is a Fellow of the American Academy of Anti-Aging Medicine with an emphasis on Metabolic and Nutritional Medicine. Dr. Burgess has a deep interest in an active lifestyle and optimizing health. She has always been active in athletics and to this day enjoys distance running, swimming, rock climbing, skiing, tennis, yoga, and barre fitness as well as getting outside as much as possible. Her experience with college athletics and multiple injuries leading to long-term pain made her very aware of the importance of balancing the body on both a muscular level and a nutritional level. Early into her medical career, Dr. Burgess became dissatisfied with the lack of education many of her patients and colleagues had regarding the healing powers of nutrition and exercise. She believes that medicine can be very powerful, but the body can also heal many of its chronic ailments if given the proper tools. She uses hormone optimization and nutrition to relieve symptoms of fatigue, chronic pain, anxiety, digestive disorders, and metabolic syndrome as well as weight management and athletic performance. Dr. Burgess's hobbies includes running, mountain climbing, paddle boarding, swimming, yoga, barre fitness, kettle bells and anything outside! Dr. Tami Horner is dedicated to helping patients achieve optimal health through nutrition, lifestyle changes, hormone balance, and other preventive measures. 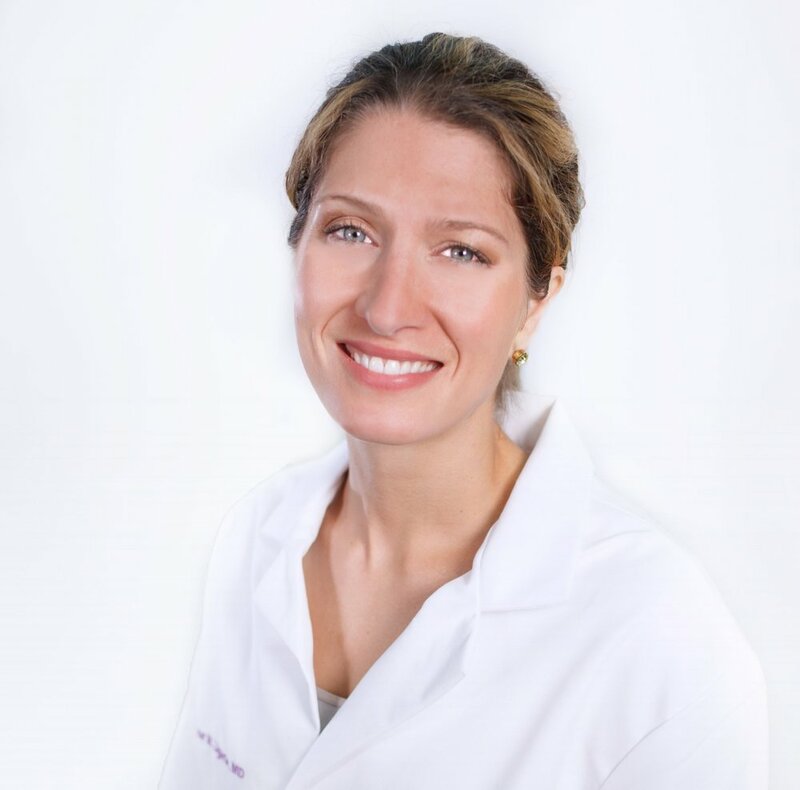 Having experienced the negative effects of hormonal imbalances and nutritional deficiencies herself, she is passionate about treating each patient as an individual and spending time educating patients about their health. After completing her residency and a fellowship in Sports Medicine, she practiced conventional medicine for 5 years and realized that the majority of disease processes and diseases of aging had a root cause of poor diet, lack of exercise, overstress, nutritional deficiencies and hormone imbalances. However, in the conventional medicine model, it is very difficult to adequately treat these root causes when you only have 10-15 min per patient. Therefore, Dr. Horner joined RaJeunir Medical Center as a Medical Director in order to focus on educating patients about proper diet and adequate nutrition, exercise, stress management and hormone balance. Dr. Horner received board certification in Family Medicine in 2004. She went on to complete the requirements for fellowship training and board certification from the American Academy of Anti-Aging, Regenerative and Functional Medicine in 2013. Dr. Horner enjoys spending time with her husband and two sons. Their school extra curricular activities keeps her occupied during her "off" time. She also enjoys various exercises such as Cross-Fit, weight training and yoga. Shelly Atalig, ARNP was born and raised in the Marianas Pacific islands and moved to Florida to pursue her education in 2003. In 2009, Shelly graduated from the University of South Florida with a Bachelor’s degree in Nursing. She went on to gain experience as a critical care nurse at Bayfront Medical Center in St. Petersburg, Florida over the course of six years. Shelly continued her education and earned a Master’s Degree in Nursing as a Family Nurse Practitioner from the University of South Florida in 2015 and was board-certified through the American Nurses Credentialing Center. She is also a current member of the American Academy of Nurse Practitioners. 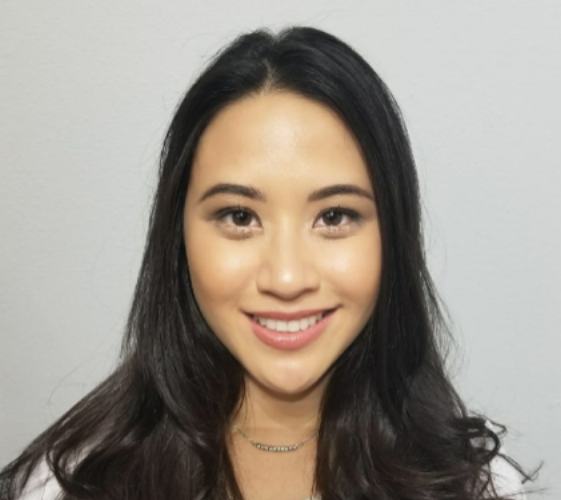 Since graduating, Shelly gained further experience in cosmetic dermatology performing laser hair removal, injectables including wrinkle relaxers and fillers, fat reduction, broad band light and Ultherapy. Shelly is excited to combine her passion for aesthetic care along with preventative and functional medicine. In her free time, Shelly is a fitness enthusiast who enjoys traveling and spending time outdoors. Dr. Derrick DeSilva, Jr., M.D., a practicing internist, a renowned speaker, radio/TV personality and author. He is an internist at the Raritan Bay Medical Center in Perth Amboy, N.J. Dr. DeSilva is on the teaching faculty at JFK Medical Center in Edison, N.J. and has lectured on various topics in medicine, nationally and internationally. He is a member of the American Medical Association and the Society of Internal Medicine. He is a past president of the American Nutraceutical Association and past chairman of the Age Management Medicine Group (AMMG) Conference. 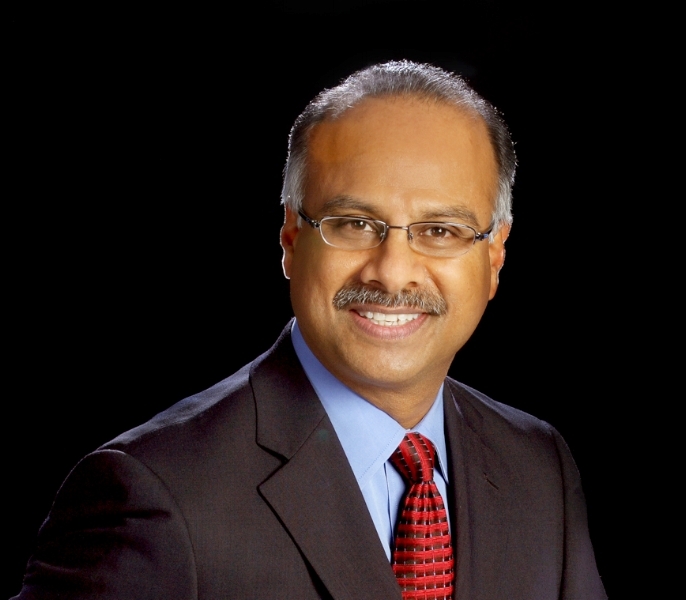 Dr. DeSilva can be heard live on the radio talk show “Ask the Doctor”, which airs on WCTC Radio in New Jersey (1450 AM), as well as his television show, “To Your Health”, which airs on News 12 New Jersey. He has authored “Coping with Lyme Disease” – published by Henry Holt, 1993, and “Ask the Doctor” – published by Interweave Press, 1997. He was named by New York Magazine as One of the Best Doctors in New York Metro Area in June 2001. He was named by New Jersey Monthly Magazine as One of the Best Doctors in New Jersey in November 2001. He received the Alan Mintz Award for Excellence in Clinical Age Management Medicine in November 2010. He has hosted medical segments on CNN and appeared as a guest on a number of national television programs, including ABC’s Nightline. He was also interviewed in a 2016 documentary The Vitamin Movie. Dr. DeSilva enjoys traveling. He has traveled to numerous places such as China, Japan, Malaysia, Singapore, Korea, Italy, Germany, Portugal, Belgium, England, Panama, Columbia, and the Caribbean Islands. His hobbies include tennis, golf, biking and swimming. He also enjoys his quiet time just “chilling” while listening to Andrea Bocelli, Celine Dion and Spanish Guitar.